POINT OF VIEW: WHOSE STORY IS IT, ANYWAY? 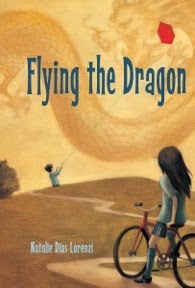 When I wrote the first draft of my middle grade novel, Flying the Dragon, the story had only one main character—eleven-year-old Hiroshi who leaves his home in Japan and moves to the US. I needed some conflict in the story, so I added Skye, a mean girl in Hiroshi’s 5th grade class. Skye’s dad is Japanese, so although she can understand Japanese, she doesn’t speak it very often. Hiroshi speaks no English, so he needs Skye’s help. But she feels uncomfortable speaking Japanese in front of her classmates, so she leaves Hiroshi to fend for himself. Each time I revised the story, I started to wonder if Skye really wasn’t as mean as I’d made her out to be. The only way to find out for sure was to rewrite the story from Skye’s point of view. But I still wanted Hiroshi as a main character, so I decided to give them equal time on the page; the final version of Flying the Dragon is told in alternating chapters from Hiroshi’s and Skye’s points of view. 1. Create a problem for your character—something that makes him or her extremely uncomfortable (sad, angry, nervous, etc.). Using the third person point of view, write a scene that shows your character struggling with this problem. 2. Rewrite the scene using the first person point of view. Which version do you like best? Why? What are the pros and cons of each? 3. Who is the one person that your character does NOT want to be around? (For Hiroshi, this person was definitely Skye!) Rewrite the scene from that person’s point of view—either in third or first person. What did you learn about your character that you didn’t know before? You may have to try out different points of view before settling on one that rings true for your story. Even if you wind up using your original point-of-view pick, you’ll come away knowing your characters better than ever.